Let’s face it; we all produce an astounding amount of waste in our daily lives. This amount, depending on its size, has to potential to seriously hinder your day to day functioning. So much so, that we often become compelled to collect it all in one place and dispose it all off. Hiring a skip company can be an easy and effective solution to the waste problem. If the amount of waste you have is too large to dispose off by yourself, you can hire a skip service to do it for you. Unfortunately, a lot of people go about it the wrong way, which then leads to several errors. Expenses higher than you thought, leftover waste despite hiring a skip, or even legal issues, any number of things can wrong when you are hiring a skip for the first time. As majority of the skip service companies tend to cater better to the client who is already aware of how the process works, it can be a little daunting when hiring such a company’s service for the first time. Then there is all the industry jargon. 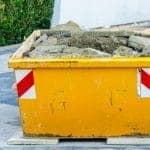 From discussions about cubic yards, to the different types of skips available and their uses, it can be quite difficult to understand what the service people are talking about. If you hire an incorrectly sized skip, you may either have some garbage left over, or you may end up paying a lot more than the amount of the waste warrants. Timing is also important when hiring a skip service. If you book a skip at the very last moment, the company will usually charge extra. 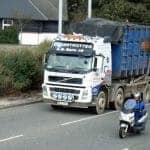 There are a number of ways you can ease the process of hiring a skip and subsequently having them dispose off your waste. Below is a detailed guide on how to hire a skip service while saving money and preventing a major hassle for you. Probably the most common mistake that people make is asking for a skip that is of the wrong size. This can happen either because you are not aware of what sizes are commercial skips available in, or you haven’t judged the volume of the waste that you need to dispose. A good rule of thumb is to first affirm just how much garbage you have. You can do this by collecting all of the items that you wish to dispose and piling them into one large heap. 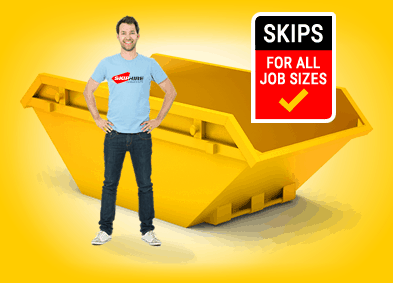 This will give you an idea of the size of skip you will need. As for the variety of skip sizes available on the market, it depends on both the kind of waste and its volume. For minimal household and/or gardening waste, a mini-skip is ideal. This can hold anywhere from 20-30 bags of waste and is quite affordable as well, depending on your location and the company of course. For larger amounts of waste, you can hire larger, industrial sized skips that have both an enormous capacity and the ability to carry a wide variety of rubbish, from household material to rubble and building matter. In any case, you will need to affirm the size of the skip you need in order to avoid misguidance by the company as well. You can look online for a size comparison chart that will tell you exactly what size skip you should hire, according to your disposal needs. There are some items and materials that most skip service companies will not carry. These include but are not limited to batteries from mobile phones, cars and other electrical items, rubber tyres, pressurised canisters and/or cylinders, known hazardous materials, paint and asbestos. The reason for companies not carrying these items is the potential threat to the environment they pose. In case of materials that are volatile such as fuels and explosive items such as batteries and pressurised objects, employee safety prevents companies from carrying them in skips. You should dispose of such materials in recycle bins designated for this purpose or hire a waste disposal service that deals with these specific materials. The costs of skip services vary by company and the amount of waste that you have. A midi sized skip will cost you around £50-£80, depending upon the service provider. A bigger skip such as the ones used for industrial waste will cost approximately £120-£150, once again depending on your location. Choosing a skip service that is nearest to you is much better than going for a company that is based in another city. The latter will charge you a lot more as compared to the former, with the service being virtually of the same quality. Smaller companies will have to travel considerably less in order to get to you which will then reduce the service charges as well. All of these factors will contribute to savings in money and hassle. You can hire a skip service for several days or weeks as well, although charges may vary according to the amount of time that you use the skip for. Skip services in the South of UK and in big cities usually cost more than suburban or semi-rural areas. Most locales require that you get a permit issued, in order to set the skip down on public roads while you use it. These permits usually last for around 2 weeks and need to be renewed in case you need the skip for longer. You can get the permit issued from the local councils or whatever authorities are dealing with such matters. Permits cost around £15-£20 per term, depending on your area.